The first Blue Streak auto dispenser was made over 20 years ago. Ever since, we have obsessed over making incremental improvements to perfect each of our products. 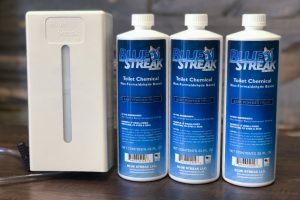 The Blue Streak toilet chemical dispenser is the only automatic dispenser available that requires no batteries, power, or complex installation. Up to 400 flushes per bottle! Just fill the dispenser and forget about it. 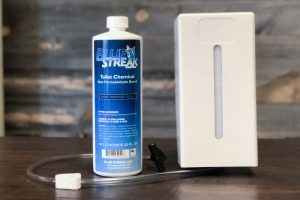 The camp toilet chemical dispenser connects to your flush line and uses a patented valve that meters the proper amount of chemical on each flush. 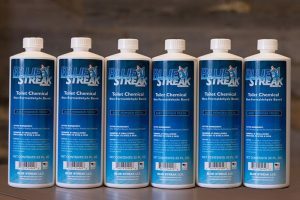 You can use Blue Streak like you use any other tank chemical, and it will provide excellent results. 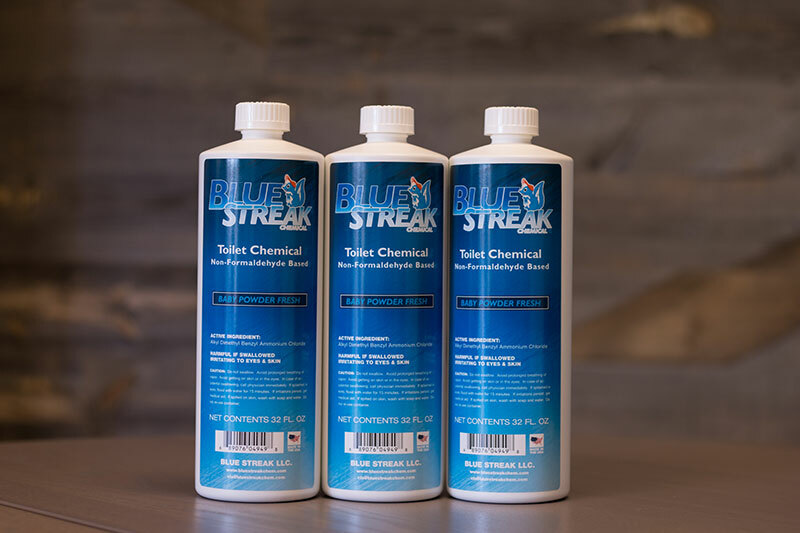 Once empty, pour 8 oz of our chemical into your toilet and you should be set for a long weekend of use.